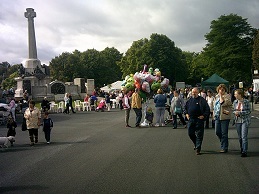 I went to the Port Sunlight Festival in 2012 too and you can view some photos of last year’s event by following this link. 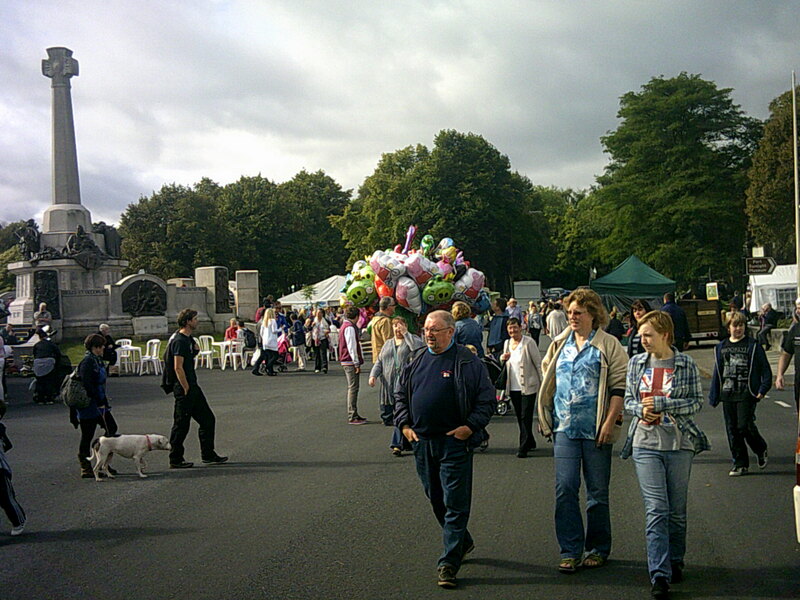 This year it was held over the two days of the weekend instead of one, which meant it was far less crowded. 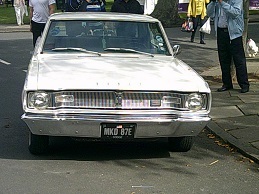 Here are some photos I took, the images are thumbnails at 10% of the original size. 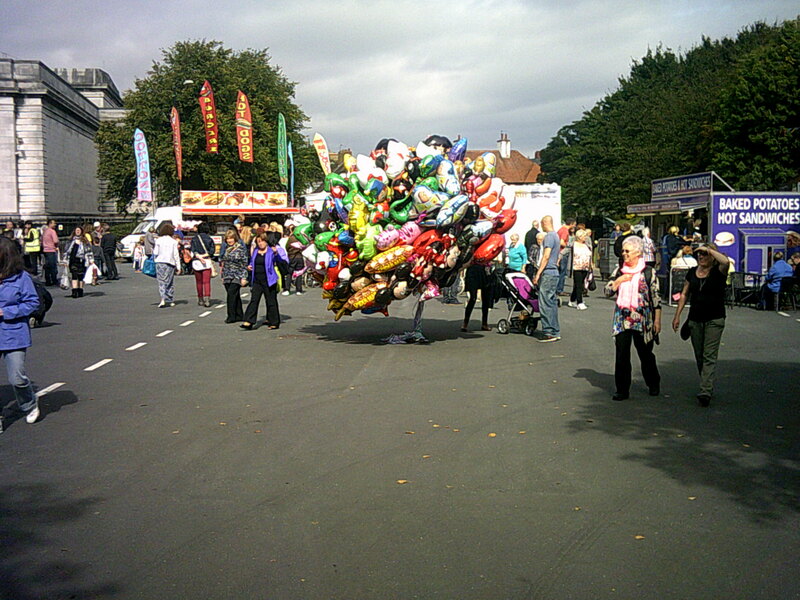 Each thumbnail should link to the original photo though if you click on it. 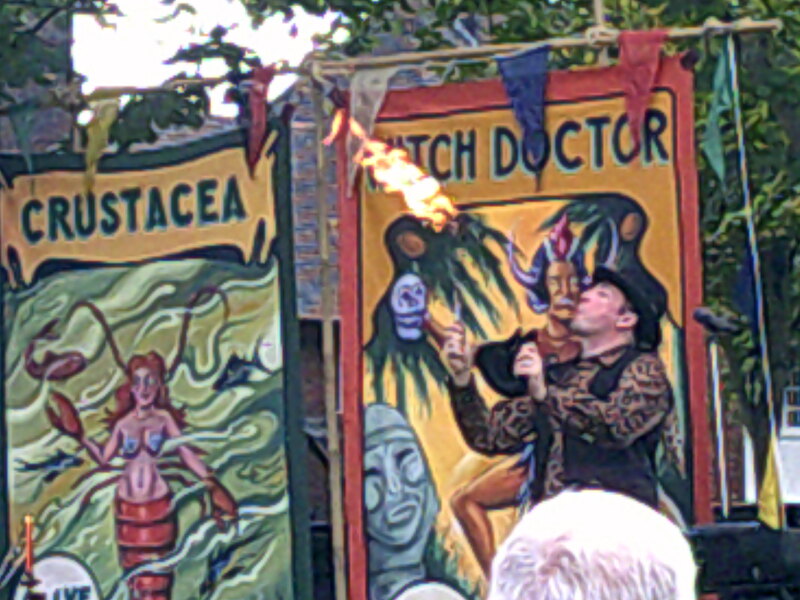 Drawing quite a crowd was the fire-eater. The first photo is of one of the balloon sellers with the war memorial in the background. The second photo is of the same scene as photo one but taken at a different time. 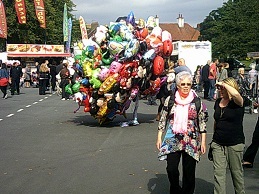 Another photo of balloons, this time much closer so you can see how colourful they were. 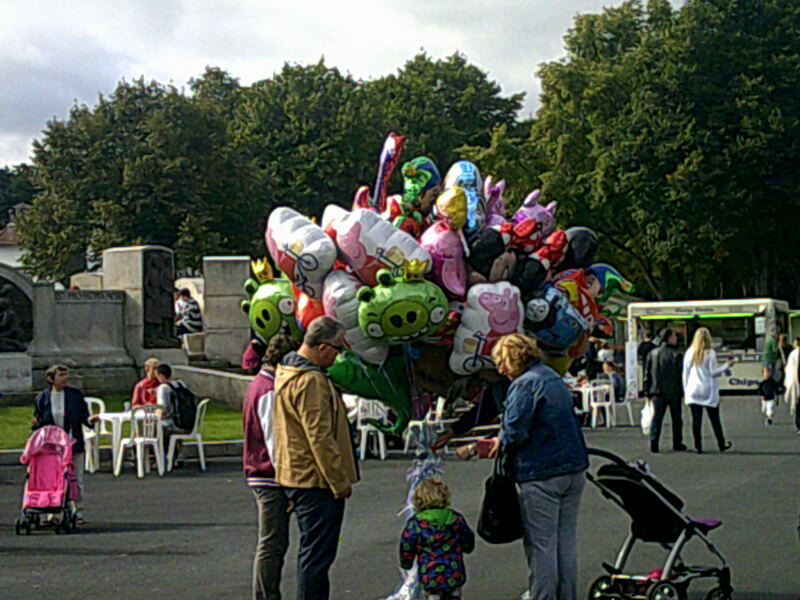 There were two balloon sellers there, this one was near the food stalls. 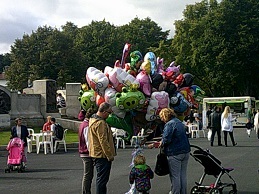 This is a close up of the balloons near the food stalls. 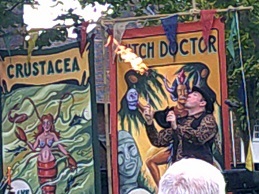 Another photo of the fire-eater this time with an impressively large flame. 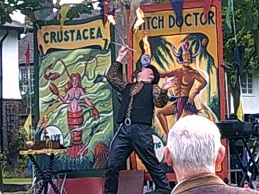 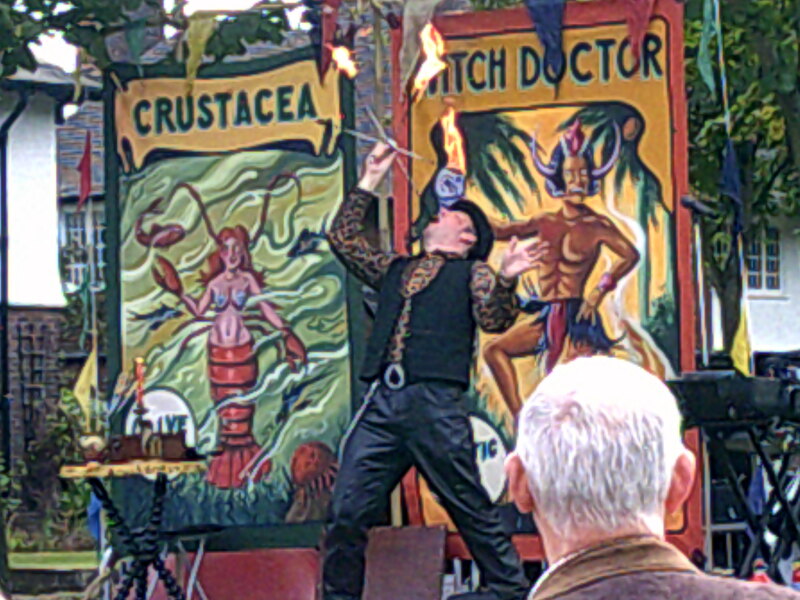 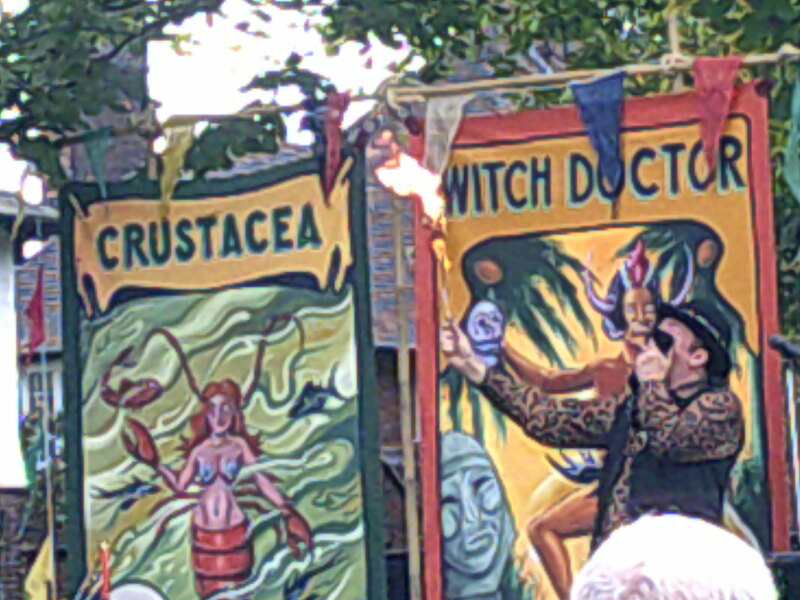 A further photo of the fire-eater although I’m unsure why he’s covering his face in this photo. 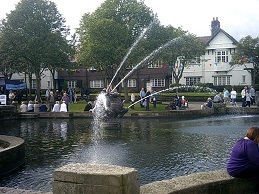 A photo of the impressive fountain in full flow. 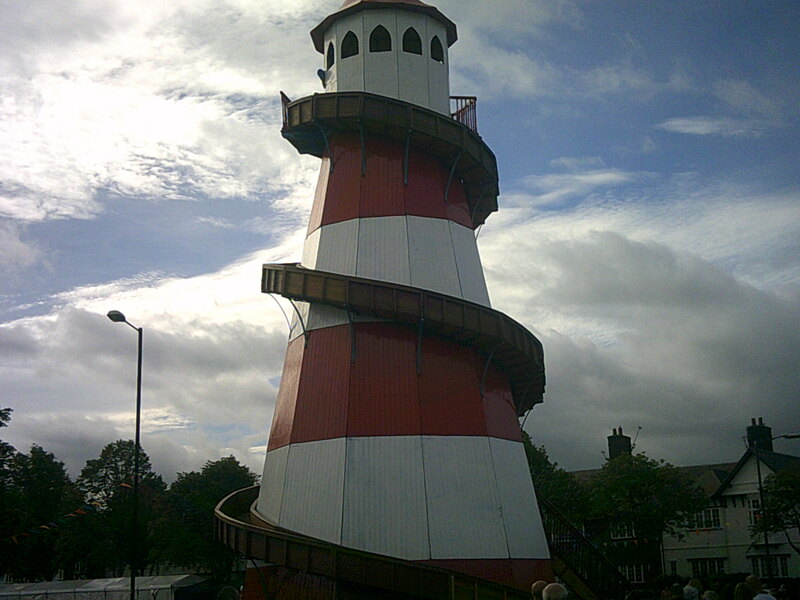 The helter skelter was one of the popular attractions, with a long queue of people waiting to go on it. 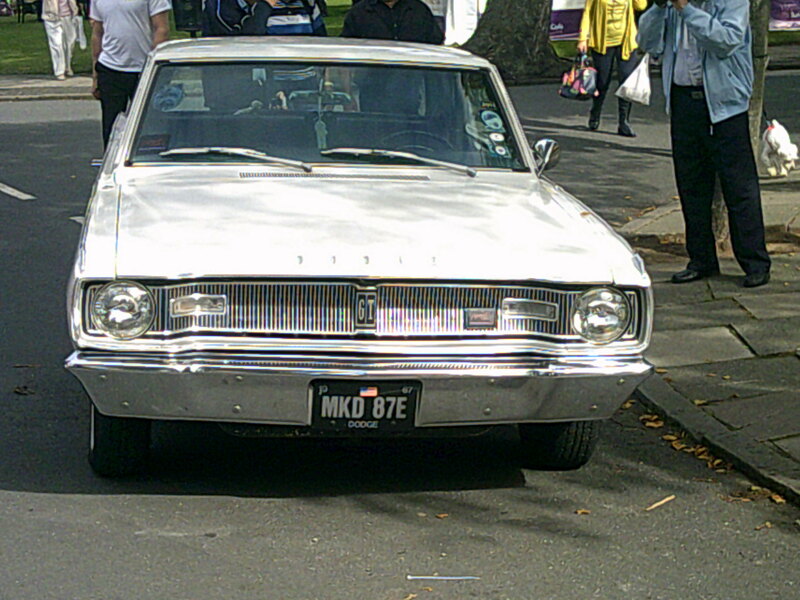 This photo is of an old American car. 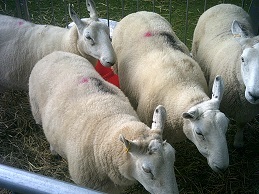 Finally a photo of some sheep.